When looking at the different options that are available for a bulletproof vest, there are several things that should be taken into account. Among others, one that should be looked at the material that is used for the bullet proof plate. The NIJ rating is primarily showing what threats can be absorbed by the vesting and disrupting kinetic energy once it is hit by a bullet. Most of the ballistic body armor pates you can see in the market today are usually made by a combination of different materials, which include those that are mentioned below. 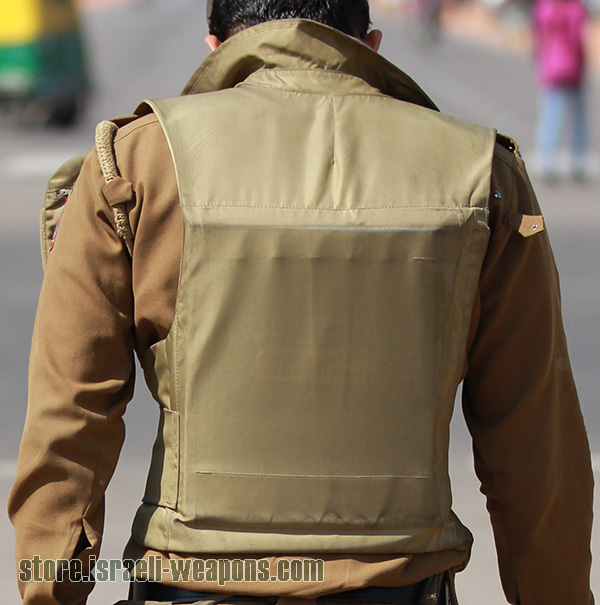 When a bulletproof vest is incorporated with a hard body armor plate, it is often aramid fabric. This material is believed to be one of the most popular used, it is why it is often referred to as soft armor. In order to become stiffer and to make sure that there is added protection, they are often incorporated with armor plates for higher protection. Ceramic armor plates are made from inorganic, non-metallic material that is comparable to glass but tougher. Its common composition is boron carbide, which is popular for its military applications. Although their ballistic value is commendable, they are often combined with other materials in order to improve their strength. There are different types of metals that are often used in the production of a bulletproof plate, with the most popular of which being titanium and steel. Because of their conductive properties, metal is often asserted to be the best material for being able to reduce the possibility of injury from a physical attack. It is often positioned beneath aramid fabric, which lessens the possibility of the bullet from sliding, and hence, adding up to its unrivalled strength. Polyethylene in bulletproof plates used in multiple layers, which is known to increase its density. Because there are multiple layers, it can provide even better protection, same when used similar materials. Polyethylene can be used on armor plates as in bulletproof vest. This is believed to be the future of bullet proof plates. It exceeds current standards, and various product developments are being conducted in order to achieve perfection in this technology. Such plates are anticipated to provide unmatched protection and weight, making it one of the most comfortable you could ever wear. Today, however, only a very few of the nanomaterials are available.